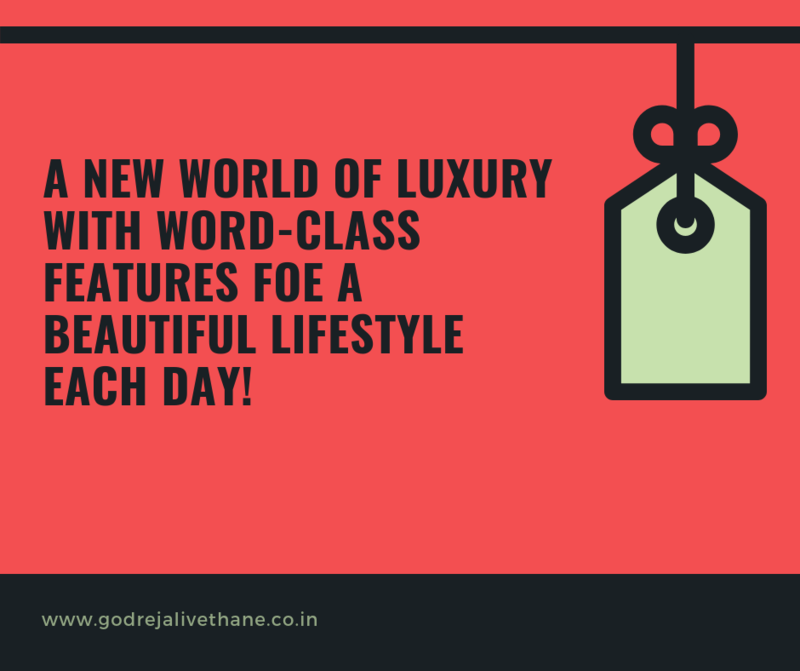 A new world of luxury with word-class features foe a beautiful lifestyle each day! Thane is a beautiful city and a part of the Mumbai Metropolitan Region (MMR) that is well-planned and offers a great living experience. 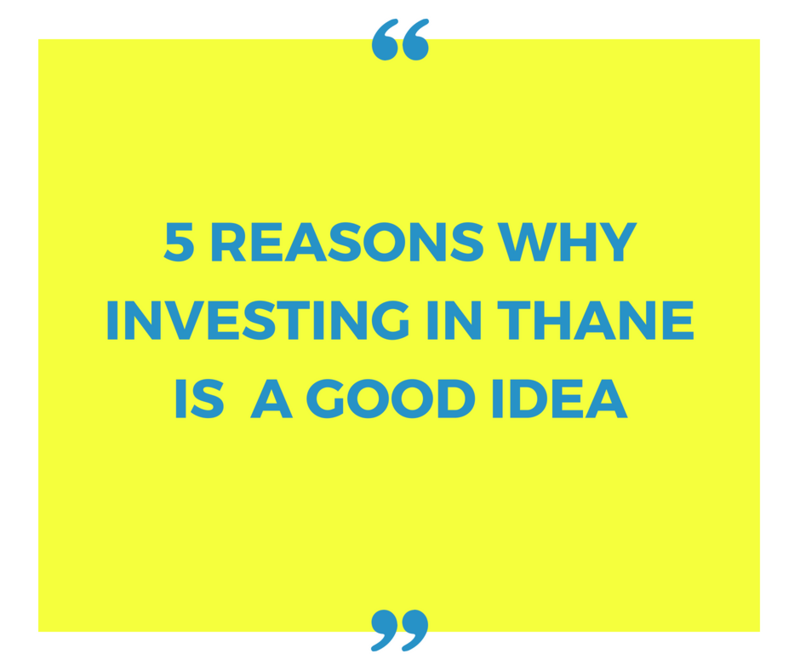 From modern infrastructure, to green landscapes, civic amenities and more, Thane offers only the best.The real estate market in Thane has evolved over the years in terms of both, residential and commercial projects. 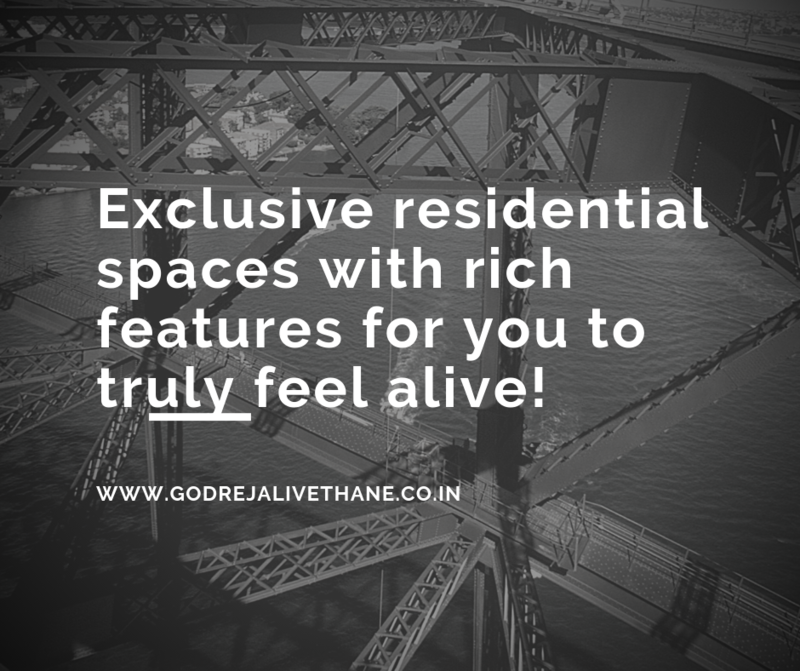 Godrej Alive is a magnificent residential project in Thane by Godrej Properties Limited that offers premium luxury and comfort for a lifestyle that will truly make you feel alive! Spread over vast acres, this development offers outstanding variants of 2BHK, 3BHK and 4BHK luxury apartments that are designed to please. The apartment carpet areas start at 787 sq. ft. and go up to 1469 sq. ft., providing beautiful space in every room. Godrej Alive Thane is a state-of-the-art residential development that hosts a number of features for a modern-day living! You will find apartments that contain vitrified flooring, sleek fittings & fixtures, large balconies and windows providing landscape views and amazing air flow, kitchens with high-end tops and multiple provisions, safety features and more. This residential development offers an exclusive range of external amenities that will always keep you relaxed and refreshed! The external amenities include grand clubhouse of 25,000 sq. ft., swimming pool, amphitheatre, multiple sports facilities, skating area and cycling track, play-zone for kids, crèche, multipurpose hall, barbeque area, hi-tech outdoor gym and library, yoga deck, futsal, jogging rack, landscape garden, dedicated area for senior citizens, wide open space, aqua gym, boxing simulator and manned security. Needless to say, this development is packed with amenities that are truly world class! Situated at Mulund, Thane, Godrej Alive Mumbai offers a convenient lifestyle that will always keep you happy and satisfied. Places like schools, colleges, institutes, banks, ATMs, hospitals, medical centres, cinemas, malls, shopping centres, supermarkets/hypermarkets, general stores, retail outlets, cafes, clubs, lounges, restaurants, entertainment zones, public transport and a lot more can be accessed with ease. Now you can experience a blissful lifestyle without worrying about a load on your pocket! Starting at an unbelievable price of Rs.1.89 Cr. and moving up to Rs.3.90 Cr., the apartments at this development are totally worth your savings for a new luxury home. Choose from a number of home loan facilities along with payment plans, NRI services, customer support and more for a happy buy. Enter the world of modern-day living that will let you feel the true essence of life!